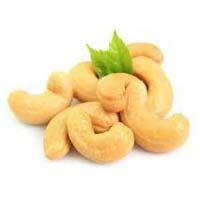 Victory International is a business based entity counted amidst reliable Sourcing Agents of Cashew Nuts. The name of our company has gradually emerged among prominent companies assisting clients with the best solutions in terms of shortlisting potential buyers for sellers. We understand the needs of customers and bring forth the most appropriate trade deal suiting to the budget and other specifications provided by clients. Furthermore, we have alliances with some of the well-known companies in industry searching for prominent manufacturers, vendors and distributors of Cashew Nuts in India. Based in Kerala (India), Victory International is bracketed with one of the trusted Sourcing Agents of Cashew Nuts. Members of the Cashew Export Promotion Council of India, who are manufacturers and exporters of cashew kernels are the major sources for cashews from India. Indian cashews are available with prominent importers in USA, Canada, Japan, the Middle East, Singapore, Australia, U.K. and other EEC countries. There are regular shipping facilities from India to all ports of the world. Major shipments from India take place through Cochin port. Other ports are Tuticorin, Mangalore, Madras and Bombay. Regular services of container ships are available from Indian ports on India-USA, India-UK/Continent, India-Australia, India-Japan, India-Middle East and India-Singapore routes.